The second concert of the chamber music series ’Cantabile’ will feature masterpieces of L.V. Beethoven, F. Chopin, and A. Dvorak. 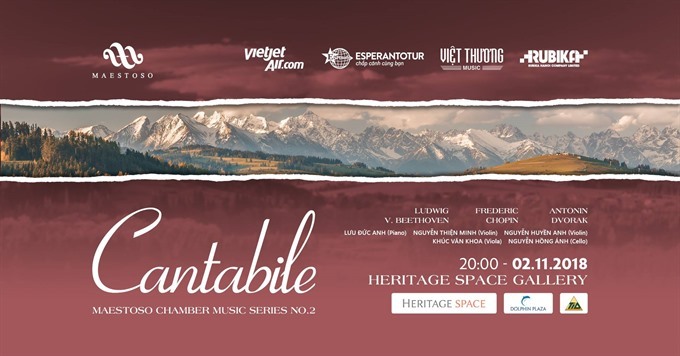 HÀ NỘI — Music company Maestoso will introduce the second concert of its chamber music series entitled Cantabile tomorrow night, November 2, at Heritage Space. In the warm and intimate atmosphere of Heritage Space, Maestoso has chosen to present melodic masterpieces by Beethoven, Chopin and Dvorak.